Well, it was a bit harder than I thought putting my first pages together. I knew what I wanted, thought it would be pretty quick...but it wasn't. 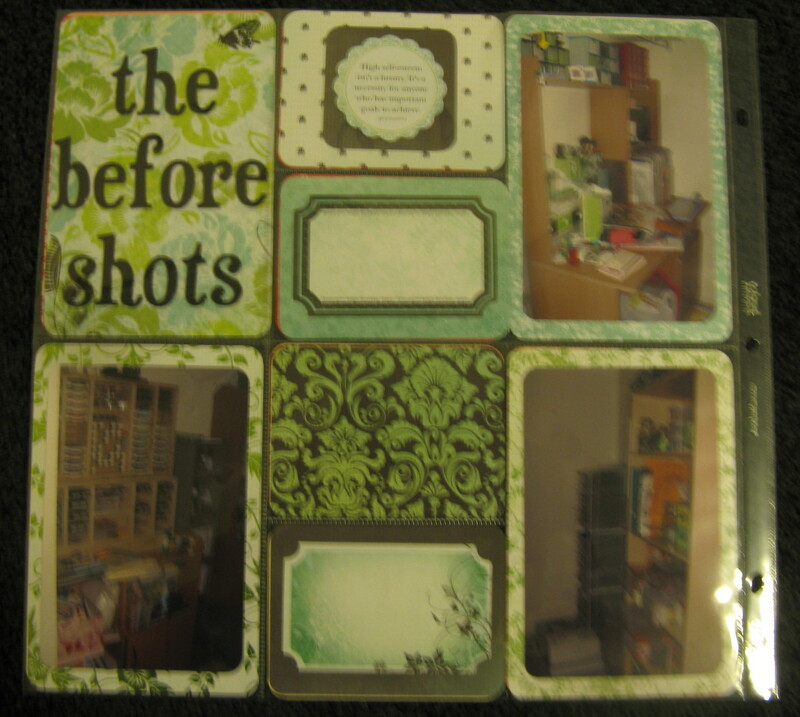 I started with the title page....first go the title upper left was too plain...then I didn't know what photos but eventually this was what I finished with. an extra photo, a PL title card and the addition of some SU paper, a butterfly and some pearls....moving away from straight PL already! 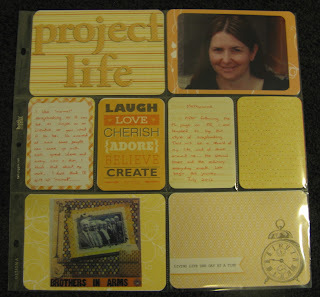 Next up was a page about Me....after all, this is what I want to use PL for..my story rather than pages just focusing on my boys and family. 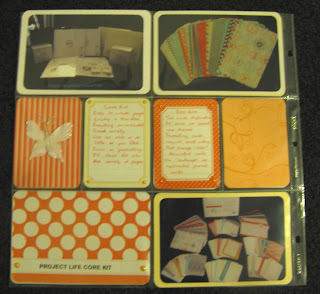 As you can see....I have used two PL journalling cards which I stuck onto SU papers, and the rest is SU, thickers for the title, ribbons and pearls plus another butterfly to tie the two pages together as they open up together. 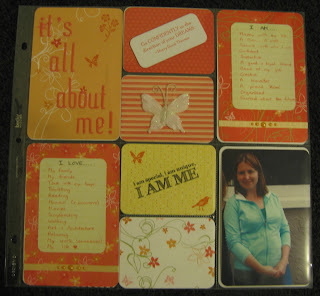 (i was a little disappointed there were no landscape journalling cards in the core kit and didnt want to use blank ones, hence why i have journalled the way I have and added a stamped quote and a rub on statement in the smaller pockets). And then on to the next double pages....my craft room before and after. 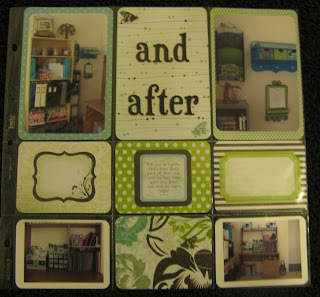 Again, this was something I did so that I could do my PL stuff in a relatively small space......well, sometimes anyway! And as you can see.....pages 4 and 5 not a PL item in sight! As I wanted to tie in and emphasis the papers I used on my OTP items it was easy enough to make up all my cards using leftovers in the same range. 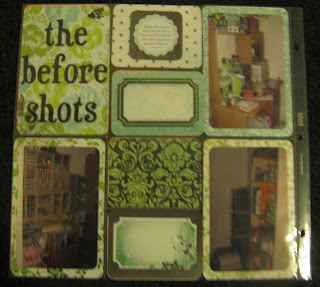 Sorry if the photos are a bit blurry, using the compact camera at night so I can get this done...never the same quality!. Well done! 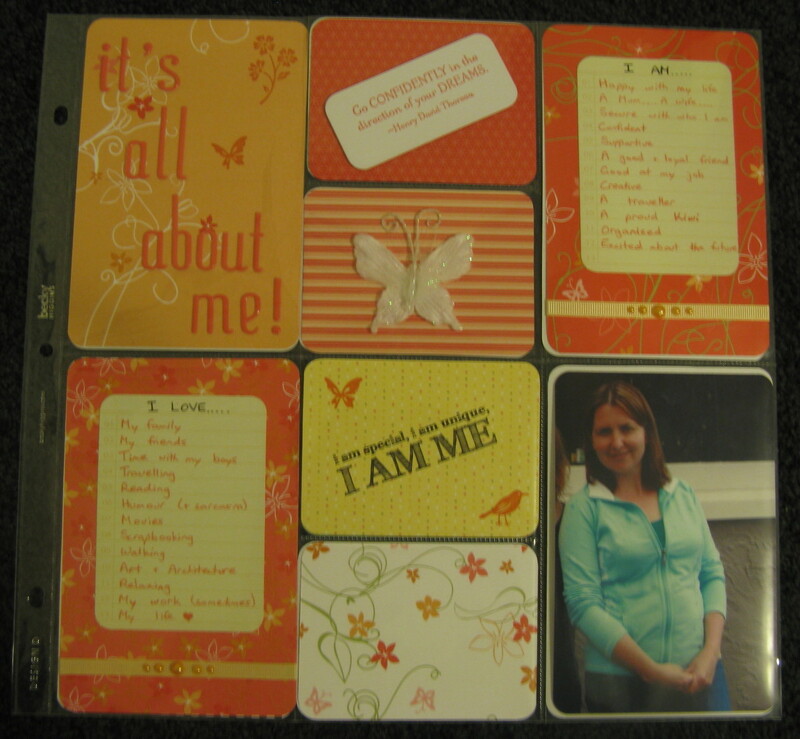 Congrats on completing your first pages and making them a reflection of what you like. They look lovely. Love the papers from the craft room reveal, they're so pretty! And love that you've used different style page protectors already. Nice job and congrats on getting your first pages done.